The sun setting on the Roggeveld Mountains in the Tankwa Karoo, a remote corner of the southern part of the Northern Cape bordering the Western Cape. It has truly captivated us. Even though most of the roads are terrible particularly from Sutherland and Ceres, we love the landscapes, the night sky is simply out of this world and there is no communication with the outside world. We regard it as South Africa’s best kept secret. Even though The SA Bulb Company is primarily a bulb export business, we do have a Retail Nursery at Hartbeespoortdam and sell bulbs, irises and daylilies via mail order within South Africa as well as having a professional services division. supplying bulbs to the public & landscapers all over South Africa. All our contact details and who are Johann & Leigh. If you would like to request any of our price lists or contact us for any reason, please send an email either to leigh@thesabulbcompany.co.za or johann@thesabulbcompany.co.za. Do not send us any emails via the website as we are unable to retrieve them. All plant photos are labelled and the names are visible if you simply hover your mouse over the photos and in order to enlarge the photos, just left click your mouse on the photo. We are still in the process of identifying some species particularly Ledebourias, Drimiopsis and Ornithogalums. The home page is an introduction to habitat. 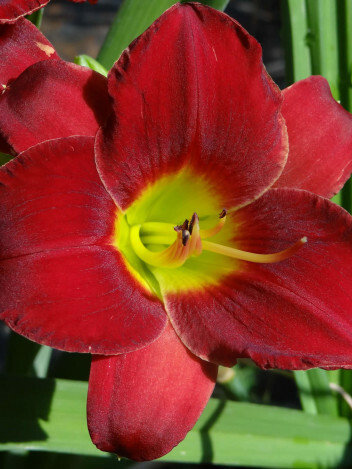 Under What we offer, you will see our dedicated pages for bulb export; local bulb mail order (RSA – South Africa); Hemerocallis (daylilies); Exotic Bulbs, Louisiana Irises & Other Irises & our Retail Nursery. Please, when contacting us by email, you must state the lists that you are interested in receiving for example if you are based outside South Africa, you would request our Bulb Export lists. If you are resident in South Africa, the RSA Bulb Mail Order list would apply to you. If you are interested in exotic bulbs, irises and daylilies, please request those lists or ALL lists applicable to South Africa. Unfortunately we are sold out of most of our Geophytic Pelargoniums. We have started sowing seed again but this a long term project. If there is anyone internationally or locally who grows geophytic pelargoniums and has seed or young plants for sale, please contact Leigh. Due to the high number of plant photos on this website (and we haven’t finished yet), we have created dedicated galleries under the Gallery Page. There is a special page for all the bulbs in the amaryllid family. A second page is for all non-amaryllid indigenous bulbs and then finally a page for all the daylilies (Hemerocallis) we grow. If you are a keen collector of bulbs with magnificent leaves, there is a special gallery under the export page. For the convenience of all customers, there is now a dedicated page GROWING AND MAINTAINING BULBS. Everything you need to know regarding pests, potting mediums, watering regimes, planting depth, feeding etc is on that page. Included in this page is a gallery dedicated to bulbs in habitat. Please note that our stock lists change on an almost weekly basis now and as a result we do not always have bulbs available of every photo on this website. 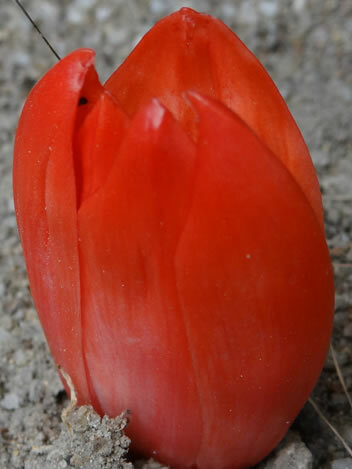 Some of the photos on this website feature extremely rare bulbs in our personal collection and we are trying to build up stock from which is often very little seed and so patience is required. If we are out of stock or you are interested in some of the rarity, we will put your request on our want list and notify you when we have stock again or when rare bulbs become available in the future. 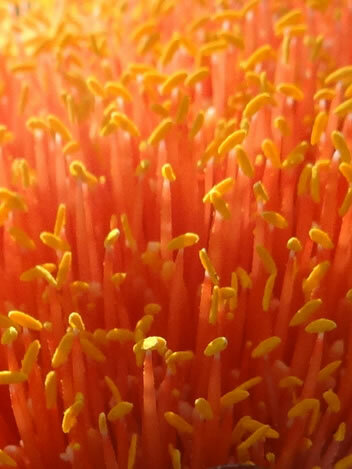 The extensive photo galleries on this website also serve as an educational tool showcasing South African bulbs to the world and have taken almost 2 decades to compile and we are constantly adding to this impressive photo library. Photo taken from the edge of the Bokkeveld plateau near Nieuwoudtville with a view onto the seemingly barren landscape below, the Knersvlakte, rich in succulents and bulbs and a biodiversity hotspot and protected area. From this vantage point, one can see the cold fronts rolling in from the Atlantic. We love the warmth of this photo from the coppery bronze rocks in the foreground to the shadows over the valley of the Tankwa Karoo National Park. To the right of the photo, the very narrow Gannaga Pass (not for the faint hearted particularly during rainy season) descends into the Tankwa. Southern Cedarberg near Op-die-Berg hamlet. Exquisite rock formations and very interesting bulbs. South Africa is a fascinatingly bio-diverse country. This introduction to habitat is primarily for our international customers and provides a brief insight into the landscapes which are home to many of the sought after bulbs, some of these areas are remote and feature intriguing geological formations. It is a privilege to spend time in some of these incredible places and that stark beauty is truly captivating. One cannot fully appreciate the natural world unless you take the time to ponder the incredible journey, in this case that of the flowering plants, have taken through the ages. Botanising around the Karoo, Western and North Western Cape, you look at the treasures beneath your feet and feel compelled to stop and consider what an incredible journey it has been over the past few million years when the geophytes started diverging and speciation occurred as the rainfall pattern changed to a winter rainfall and summer drought Mediterranean climate. We care deeply about the natural world and the relentless exploitation of the planet’s natural resources and so when we study bulbs in habitat, we take note of the insects, the small animals, the soil, other vegetation, the impact of drought and the human footprint. Unfortunately habitat destruction is a reality due to intensive farming activity, roadworks, housing development, over grazing, mining and industrial activity. We trust that you will enjoy this brief journey with us as we introduce you to just a few of the spectacular landscapes where many of the winter rainfall bulbs in particular, occur. Over the past few years we have travelled extensively in the Western and Northern Cape provinces in order to familiarise ourselves with the habitat of many of the species we grow to try and emulate that growing environment as close as possible in our production facilities as well as building up our vast photographic library. Only when you see first-hand that the general assumption of ‘sun loving’ does not necessarily imply planting a bulb in scorching full day sun and how different forms of a species often have very different growing conditions, can you possibly begin to successfully propagate and market the plants. 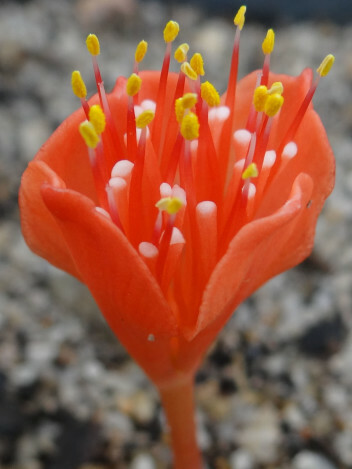 We have seen for example Haemanthus coccineus growing in diverse habitats ranging from the arid Tankwa Karoo where the leaves are silver grey and more compact and the bulbs are wedged inbetween large rocks in full sun to a form with huge luscious shiny bright green leaves growing in humus rich soil in deep shade under thickset trees and shrubs in the Citrusdal mountains. On a recent trip to the Cape we saw clumps of these in small colonies almost clinging to the cliffs on the south eastern slopes of small hills in the Little Karoo. Our favourite spot to view Haemanths coccineus is at Cape Agulhas, Africa’s southernmost tip where they occur in large colonies in full sun boasting huge specimens growing on the rocky beach where they are subjected to gale force winds in winter and constant pounding from the salty sea spray. 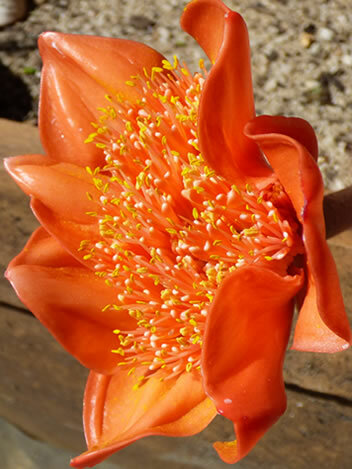 A form of Haemanthus albiflos also occurs almost on the beach near East London in the Eastern Cape, albiflos and humilis both have very wide habitat distribution. We have also seen Veltheimia capensis growing in pure sand in full sun on the West Coast and another form growing under bushes in the shade in rocky areas in humus rich soil in the Little Karoo. 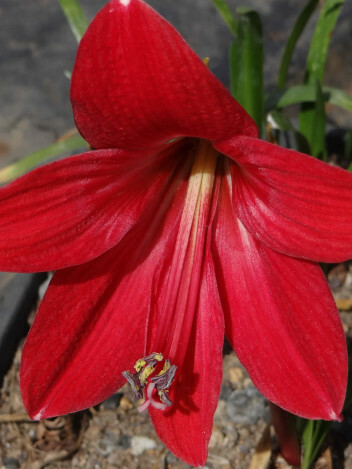 The most bulb diversity occurs in the winter rainfall region stretching from the north western Richtersveld on the Namibian border, down along the coast and adjacent escarpment to the southern Cape and then eastwards towards Port Elizabeth. Soil types ranges from clay to rock and rocky cliffs and to flat coastal sand. Most bulbs thrive in soft sandy or extremely well drained soil or stony clay soils but on our travels we have seen that habitat for a single species can range from vast expanses of extreme semi-arid, almost desert-like conditions where the sun scorches the ground during the dry summer to seasonally water-logged depressions. Numerous dwarf bulb species in particular have adapted to grow on southern and south eastern slopes of hills and mountains where the heat and wind is far less intense ie more shady conditions and which stay moist and cooler during the long hot dry summers and you can observe little clumps of bulbs almost clinging into small rock pockets rich in humus. Rocks and rock sheets also protect bulbs from grazing by sheep. In Nieuwoudtville, Northern Cape, a world famous and very special small town when it comes to bulbs, the Crossynes were so deep in seasonally flooded depressions they could be mistaken for being aquatic plants….and yes the water does drain through eventually. A diminutive Massonia grows en masse on the Nieuwoudtville escarpment on exposed rock sheets in very shallow soil and it is fascinating to think how they survive the extreme heat in summer during dormancy as the rocks get very hot. Other bulbs grow in full sun in extremely arid areas in rocky soil but with some protection from small shrubs and inbetween rocks where the humus accumulates and so they are afforded some protection from grazing. The closer one gets to the coast, the more flat and more sandy the soil and it is on these wind-swept coastal dunes and the adjacent interior that bulbs like Veltheimia capensis, Massonia, countless Lachenalia and Haemanthus have been observed. The substrate is almost completely sand. In the Knersvlakte which is one of the most bio-diverse areas in both succulents and bulbs, bulbs grow in quartz pebble patches that reflect the sunlight thus keeping the soil cooler and creating a more conducive micro-climate. Winter rainfall bulbs have a tendency to be more cryptic in habitat due to grazing animals and other predators, they need to blend in. So all those exquisite spiral leaf bulbs and bulbs with very hairy or furry or heavily blotched and pustulate leaves have adapted to the environment. Conditions are taxing and it makes one appreciate how those many bulb species such as Eriospermum, Albuca, Ornithogalum, Drimia, Gethyllis and Lachenalia have to brave the elements in order to survive. Much of the interior of South Africa is poor in bulb diversity. Travelling westwards from Gauteng to the far Northern Cape, one could aptly describe the landscape as being a ‘vast expanse of nothingness’. This landscape consists mainly of Highveld grassland, dry bushveld and semi-desert (Great Karoo). This is predominantly the summer rainfall region (until you reach the rich Nama-Karoo) and is home to Boophone, Albuca, Ammocharis and a few Nerine and Crinum species. Grassland and bushveld biomes dominate the northern and central regions of South Africa. Most of the density of summer rainfall bulbs occurs in the Eastern Cape, KwaZulu Natal, the Lowveld and escarpment. The southern Cape to Port Elizabeth receives rain throughout the year whereas the interior only receives rain in summer. 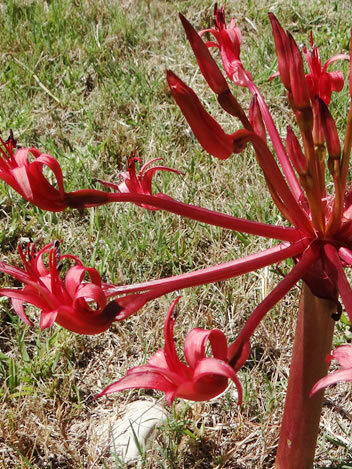 Most of the bulbs in the Eastern Cape are evergreen such as Cyrtanthus, Agapanthus, Clivias and some Nerines. There is much less diversity in the summer rainfall regions and this is due to the winter rainfall areas having different habitats with their own micro-climates (more mountains that contribute to different habitats whereas the interior is mostly flat with one habitat dominating large areas which in turn means less bulb diversity) and different soil types. 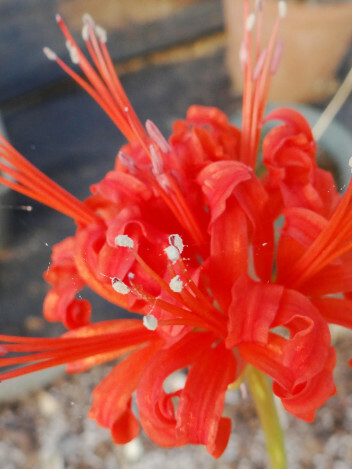 There are also species of genera that have winter and summer rainfall representatives such as Brunsvigias, Haemanthus, Crinum, Eucomis and Clivias. North of us, bushveld dominates, home to unusual and rare Ledebourias such as leptophylla as well as Crinums such as buphanoides. There is also a dark form of Ammocharis coranica which often grows in the shade of bushes and when the summers are particularly hot and dry, the leaves simply wither until the rains come again. in the few small ‘wild pockets’ left in Gauteng province which is home to the largest urban sprawl in South Africa, one can still find some Crinum lugardiae and graminicola, Ledebourias, Agapanthus campanulatus, Haemanthus humilis subsp hirsutus, Pelargonium luridum. On the plateau in the high grasslands of the eastern province of Mpumalanga (the Lowveld), there are many diverse species including Resnovas, Ledebourias, Eucomis, Drimiopsis, Agapanthus and Zantedeschia. Finally in KwaZulu Natal including the magnificent Drakensberg mountain range, there are a number of critically endangered species such as Siphonochilus aethiopicus, Nerine pancratioides, Pseudoprospero firmifolium subp natalensis, Haemanthus pauculifolius, Cyrtanthus obliquus, falcatus and Crinum acaule. This distinct plateau could be mistaken for a tepui in the Guiana Highlands of northern South America. This area is a treasure trove of rare bulb species.